EL wire, power supplies, and some beginner electronics kits. Check out the goodies for this week. First off, this weekend is AVC! We're gonna be out at the Boulder Reservoir watching robots battle it out on the aerial and ground courses. If you want to check it out, go here to spectate, it's free for everyone and entrance to the reservoir is included. It's shaping up to be the biggest and best year ever. If you can't make it out, don't worry. This year we have an awesome live feed complete with multiple cameras, video feeds from quadcopters, and a real-time scoreboard feed. Be sure to check out the video feed here. Yeah, sometimes an idea seems good on paper but doesn't really translate well in reality. And yes, I can't hula hoop. Sigh. Let's check out the products for this week. 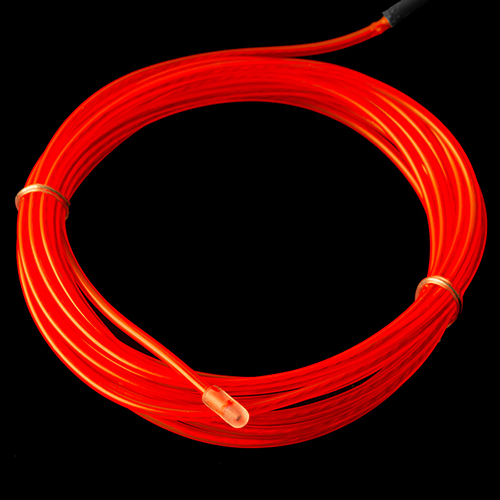 This week we have various colors of chasing EL wire. It's different from normal EL wire because it looks like it's moving. It accomplishes this by having three separate strands of EL wire staggered inside a single wire. When you sequentially power the wire, it appears to be moving - pretty cool. But how do you control this magical wire? We've got you covered. We have a simple battery-powered inverter for controlling chasing El wire. It uses two AA batteries and has a button for switching modes. 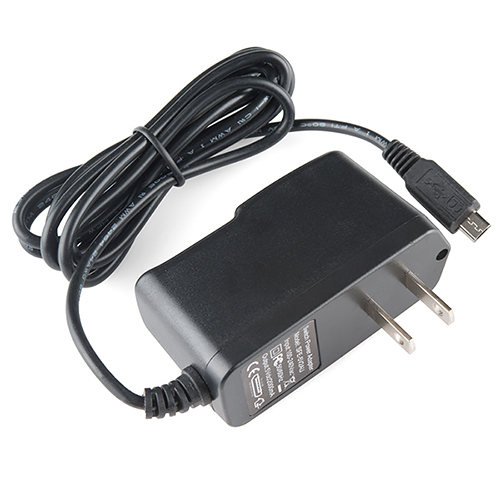 In addition to the inverter, we also have a little adapter cable that lets you connect chasing EL wires to things like the EL Escudo Dos or the EL Sequencer. We have a couple new power supplies this week too. These work well for single board computers or devices that need a little more current. These produce a nice regulated 5V output and can supply up to 2A worth of current. 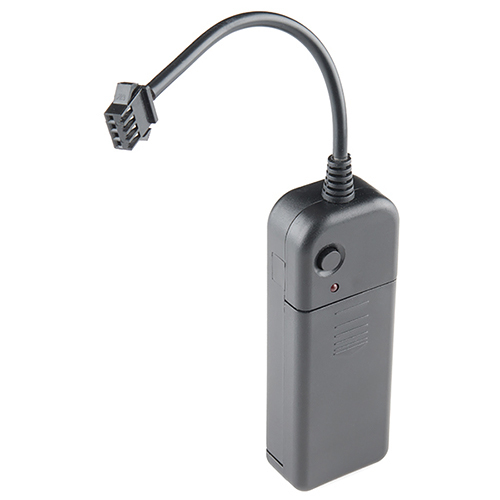 We have them with either a barrel jack connector or a micro-USB connector. Need a simple little screwdriver to throw in your tool bag? 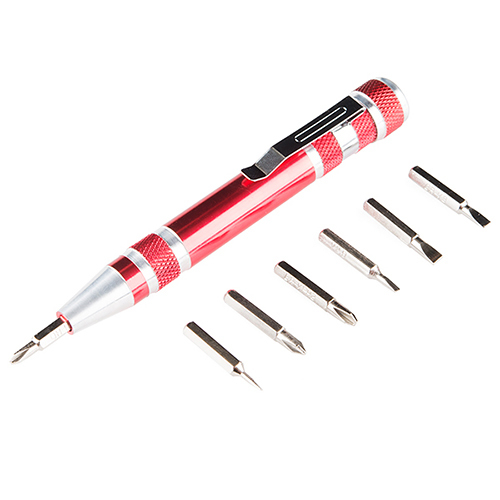 Check out this new pocket screwdriver set. The body is metal and the cap unscrews to reveal a selection of common bit sizes. The bits are held in place magnetically making it easy to switch to the one you need. It even has a pen clip so you can carry it in your shirt pocket if you're inclined to do so. 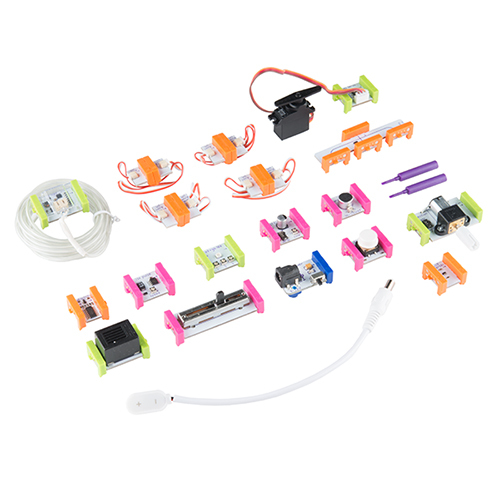 We have several new kits from littleBits. These kits are for electronic beginners. They consist of magnetic bits that snap together to form electric circuits. There's a base kit, a premium kit as well as a deluxe kit. In addition, there's a space kit full of sensors and a Korg Synth Kit for making music. 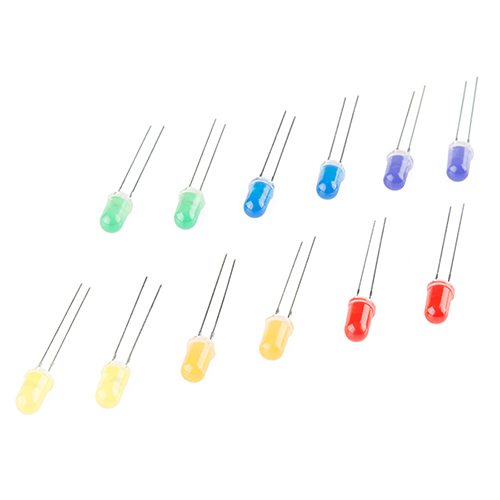 Lastly, we have a pack of rainbow-colored LEDs. Well, each LED is only one color, but all of them in the pack adequately represent the colors found in a traditional rainbow. The kit contains six different colored 5mm LEDs, and you get two of each color for 12 total. That's all the new products we have for this week. Thanks for watching and reading. Be sure to check out AVC this Saturday, either in person on via the live video feed. Stop by the ground event and say hi, I'll be hanging around, firing an electronic starter, telling people when to go and what-not. See you then! Wow -- that chasing EL wire is perfect for a Flux Capacitor replica! Looking at the chasing EL wire. Can you cut this to length as we do with single strand EL wire? If you have some patience and several sharp implements, you can also get the cut-off end working. Under the outer jacket (cut/score with a 20AWG wire cutter and yank off), there's a clear inner jacket. Carefully split that with a knife and you'll see two corona wires (common) and the central, phospor(? )-covered wire can be split apart to reveal three conductors. Solder four new wires on, heatshrink, et voila. Is this the same JST connector as is on PRT-09916? If not, are there plans to add it to the product list? 6 colors in a rainbow? Okay, yeah, I guess we all know that Sir Isaac Newton made up indigo so that it would be a full seven. Friday Product Post: Solder Where? Solder There!